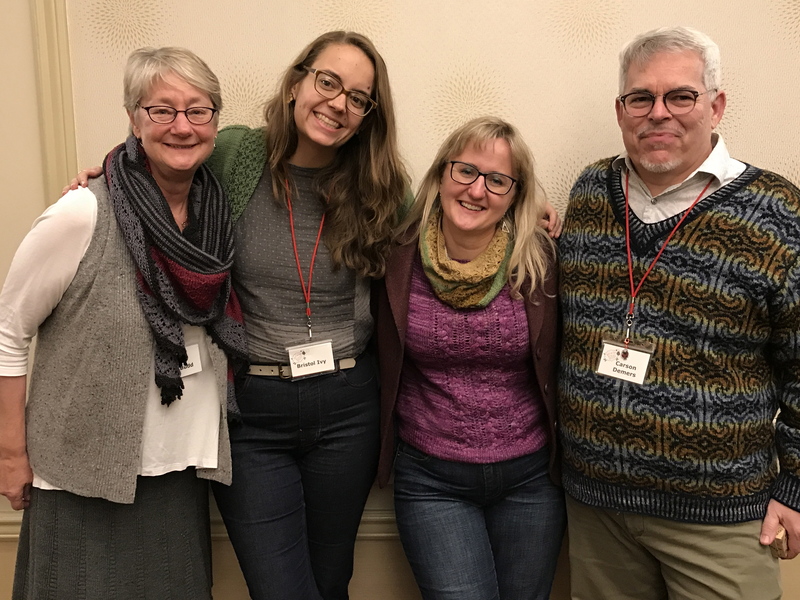 The autumn 2019 Knit For Fun Retreat will take place September 19-22, 2019 in the seaside town of La Jolla, California. 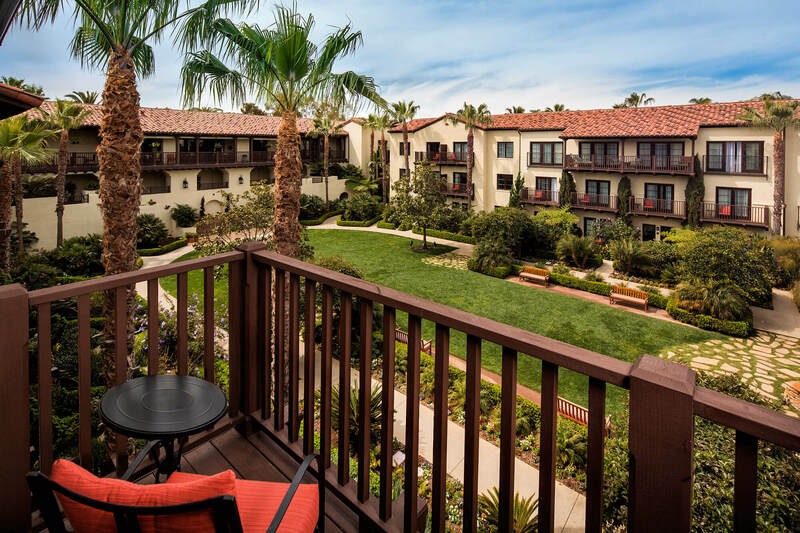 We’ll escape to the hacienda-style haven Estancia La Jolla Hotel and Spa, located just blocks from the world-class Torrey Pines Golf Course. This four-diamond hotel is surrounded by beautiful gardens and features a luxury spa, including a heated saltwater pool and whirlpool, complete with poolside cabanas. What’s more, a complementary bottle of Napa’s finest Trinitas Cellars Wine is included with each room! 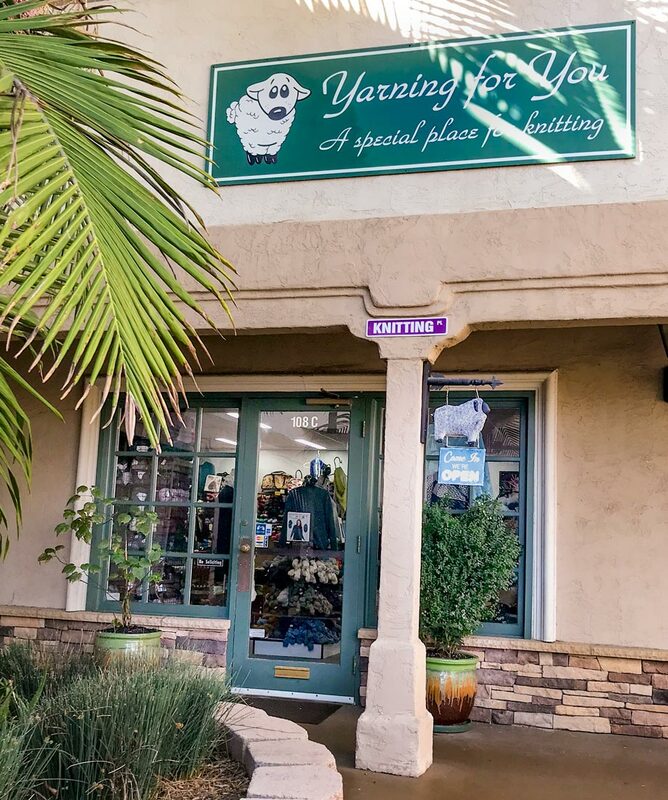 The on-site marketplace will be hosted by Yarning For You of nearby San Marcos, California. This delightful shop is owned by mother-daughter duo Lynn and Lacey Koch who took a beginning knitting class together several years ago. The rest is knitting history. Lynn and Lacey plan to bring lots of local talent and indie dyed yarn to the retreat marketplace. You’re sure to find something special! 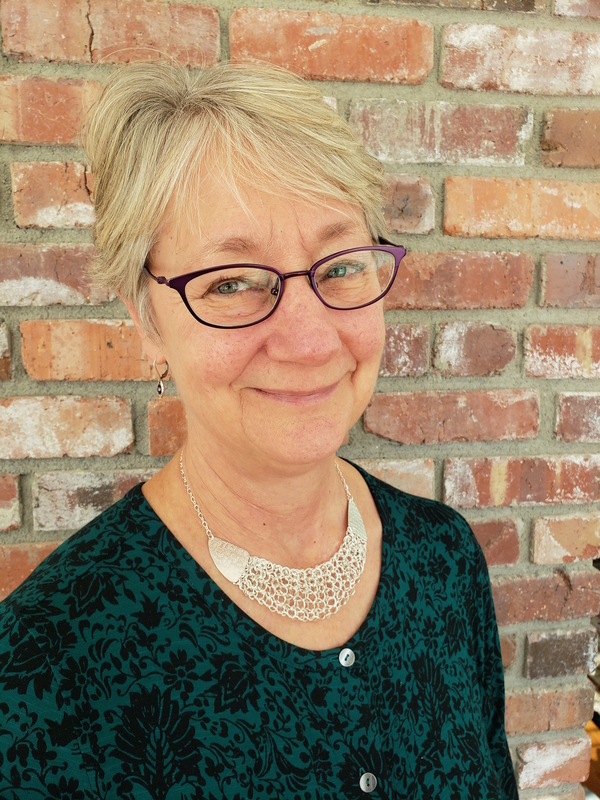 Guest teachers will be Estonian knitting expert Nancy Bush, author of AlterKnit Stitch Dictionary Andrea Rangel, and Intrepretations co-author Veera Valimaki. Again, I’ll fill in as the Knit Doctor to help with whatever ails your knitting mojo. As always, attendees get one 3-hour class with each instructor, plus a chance for a one-on-one appointment with the Knit Doctor. You can also opt for a 6-hour add-on class the opening day of the retreat for an additional fee. ions of a decorative braided cast on and an outstanding, stretchy and bold cast on for socks, cuffs or even the edge of a sweater. Students will learn when to use each technique and what makes each one special. Yarn will be provided in class. Estonians use a special inlay technique for adding decorative color motifs to gloves and socks. 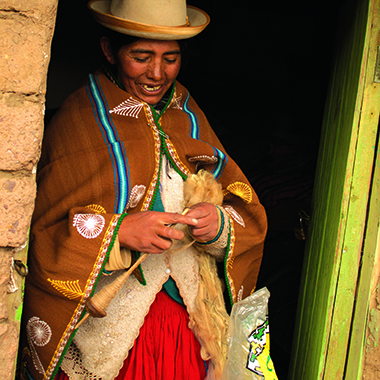 Unlike embroidery, the technique is worked right into the knitting, row by row. Learn how to read Roositud charts and work this unique and colorful embellishment by knitting a sample in class. Estonia has a lace tradition spanning nearly 200 years. In this class, you’ll explore the stitch patterns and some of the history of lace knitting from Haapsalu. Through knitting a sampler, you’ll learn several ways that Estonian knitters create texture in their exquisite lace shawls. The knitting from Muhu Island, off the west coast of Estonia, has gone through many changes since knitting was first practiced there several centuries ago. Learn the evolution of knitting on Muhu and learn about the colorful, intricate braided and patterned cuffs of Muhu mittens and gloves, popular in the 19th and early 20th centuries, all while making a mitten, or mitt using unique techniques. Have you ever had trouble choosing the appropriate yarn for a pattern? In this class, you’ll be guided through the intricacies of fiber, yarn weight, and plies. You’ll learn how to decode yarn labels to match the perfect yarn to your project. You’ll get lots of hands-on experience examining Andrea’s extensive collection of swatches. Two colors of yarn can be used to create an infinite variety of beautiful patterns in knitted fabrics. Take the plunge and learn to work stranded colorwork. 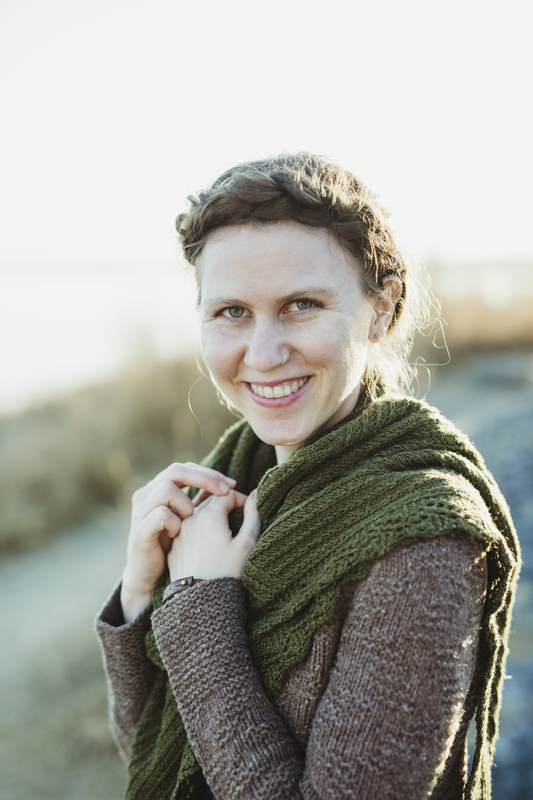 Andrea will guide you through all the elements needed to knit striking stranded patterns. 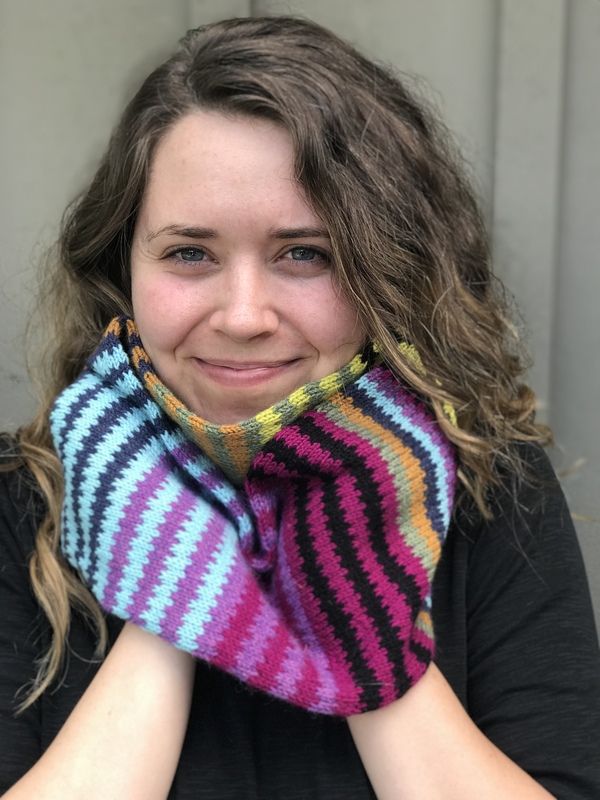 Learn to read color charts, manage two balls of yarn, catch floats, and create gorgeous smooth fabric while working a fun cowl. You’ll also get hints on how to pick colors that shine together and which yarns will work best for your project. Dive into the intricacies of shaping knitted fabric. Practice a variety of increases and decreases and learn the pros and cons of each method. You’ll learn how to make your shaping lean left, right, or center, and why it matters. You’ll also learn how to use shaping to improve the fit of your sweaters. This class will deepen your understanding of knitting, and allow you to add beautiful detailed precision to your projects. 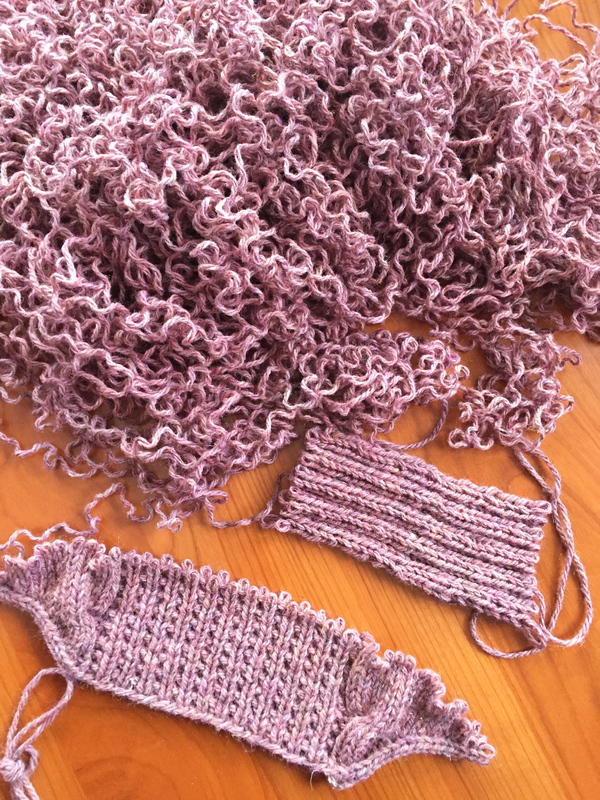 Brioche knitting creates a lofty, squishy, and reversible fabric. In this class, learn to work basic brioche and two-color brioche, along with increases, decreases, and finishing techniques. Following instructions for both Continental and British-style knitters, you’ll work a brioche sampler. This class focuses on color in knitting—what to expect from certain colors, which colors to pair, and which to begin with. You’ll learn basic color theory hands-on while knitting swatches. You’ll leave class full of inspiration and confidence! Click here for all the details and to register for this splendid opportunity! When I was the Knit Doctor at the first-ever retreat sponsored by LoopsLove in Tulsa, Oklahoma, last January, Ross of Dye For Knitting created a colorway in my honor called Loops Loves Ann. I was so touched that I asked Ross to dye a semi-solid to pari with it, which I asked him to name Ann Loves Loops. I combined the two in the brioche shawl shown here, which I’ve called Loops Amore Shawl. 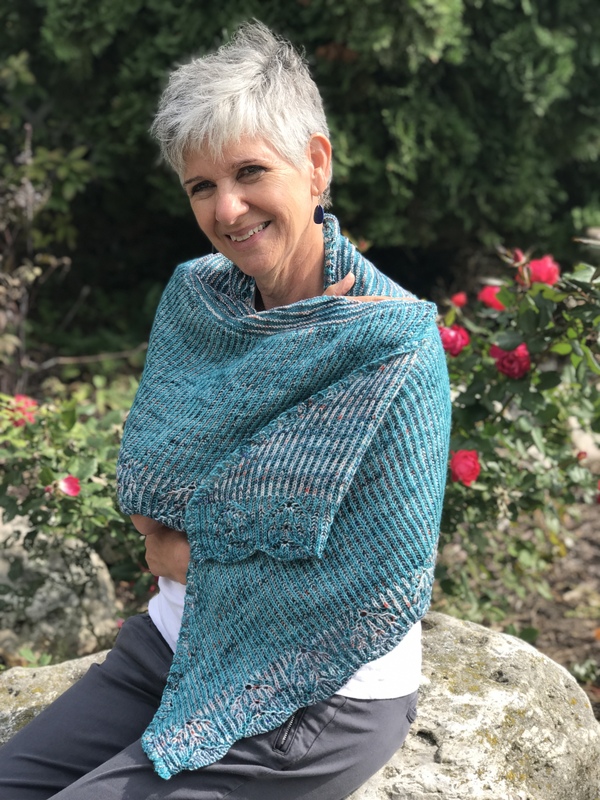 This two-color shallow crescent shawl begins with a 3-stitch garter-stitch tab around which stitches are picked up and worked for a few inches in a garter-stripe pattern. The pattern then shifts to classic two-color brioche rib and ends with the colors reversed for a brioche lace edging. 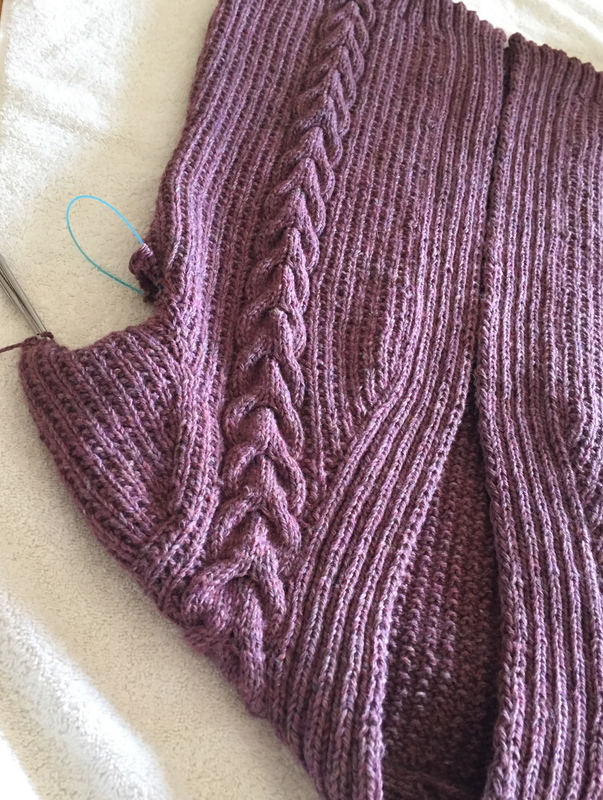 The shape is achieved by increasing 6 stitches (3 stitches at each end of the needle) every 2 rows in the garter-stripe pattern, then 6 stitches every 8 rows in the brioche rib pattern. 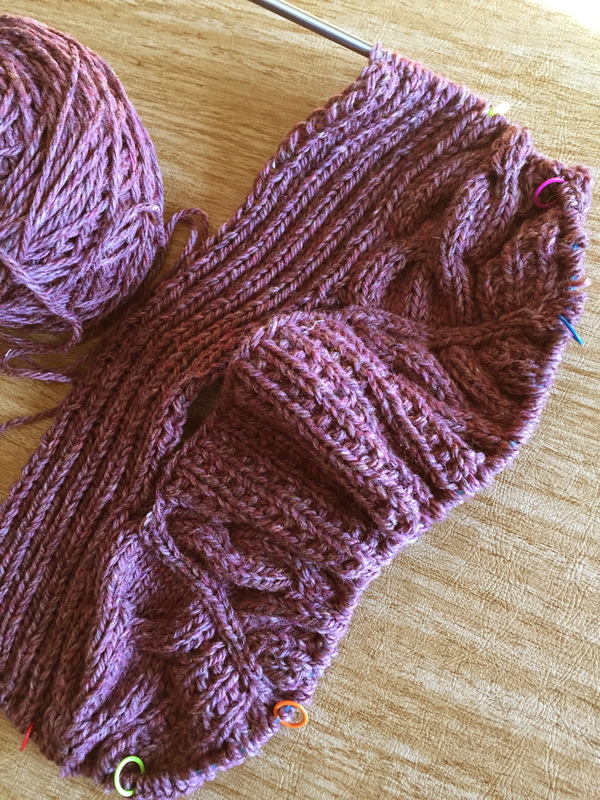 I used the Italian method (also known as the K1, P1 Tubular or Invisible Rib method) for a smooth bind-off along the lower slightly scalloped edge. The reversible shawl has all the squishy appeal of brioche and it stays put on the shoulders. You can purchase a kit from Loops for just $54.99, which includes the pattern and two skeins of each of the two colors in three possible colorways. You can also buy the individual Loops Amore Shawl pattern on Ravelry. Use the coupon code LOVE FEST to receive 20% off the Ravelry purchase price between now and midnight Saturday, February 9. For the past couple of years my friend Cindy and I have spent New Year’s Eve together bing watching Gray’s Anatomy and casting on sweaters for ourselves for the new year. 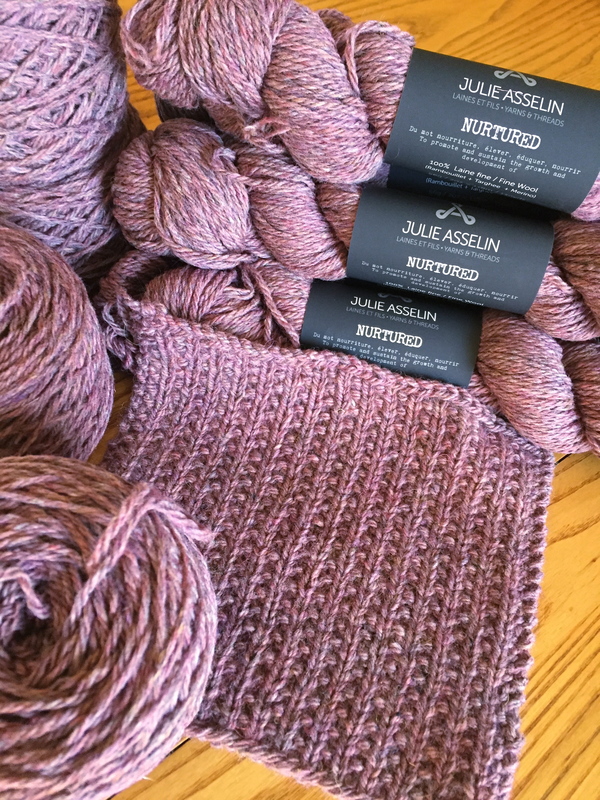 This year we both purchased Julie Asselin Nurtured from River City Yarns in Edmonton, Alberta, Canada. This yarn is an amazing blend of Rambouillet, Targhee, and Merino in stunning heathered tones. I chose Tisane, a reddish purply-pink; Cindy chose a dark gray. By the end of the cast-on day, I had made good progress on the back neck, shoulders, and fronts, and I was feeling pretty proud of myself. Unfortunately, I failed to notice a mis-placed column of knit stitches next to each of the back cables. I probably could have dropped down stitches and corrected them, but it would have meant dropping back ALL of the back stitches. I decided it was better to rip it all out and feast on a large slice of humble pie. 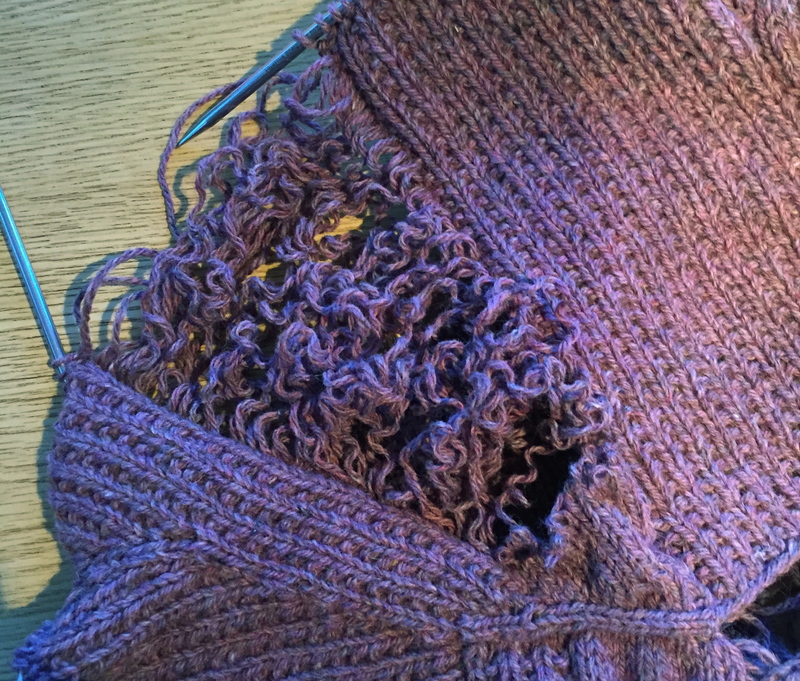 I happily knitted most of the upper body before I noticed that I had twisted two (2!) cables in the wrong direction, one of which was 60 rows back. Because only 12 stitches were affected, I chose to drop down those 60 rows and pick up the 12 stitches row by row, correcting the errant cable crosses along the way. I admit that I was feeling a little discouraged at this point. However, I ate more humble pie and soldiered on. I’m afraid that I ran into a couple other mishaps along the way that I didn’t bother photographing, but I’ve now finished the body and am delighted with the results. It *should* be smooth sailing from here on, but I’m determined to stop and examine my stitches every couple of inches. My your New Year’s projects give you fewer fits! 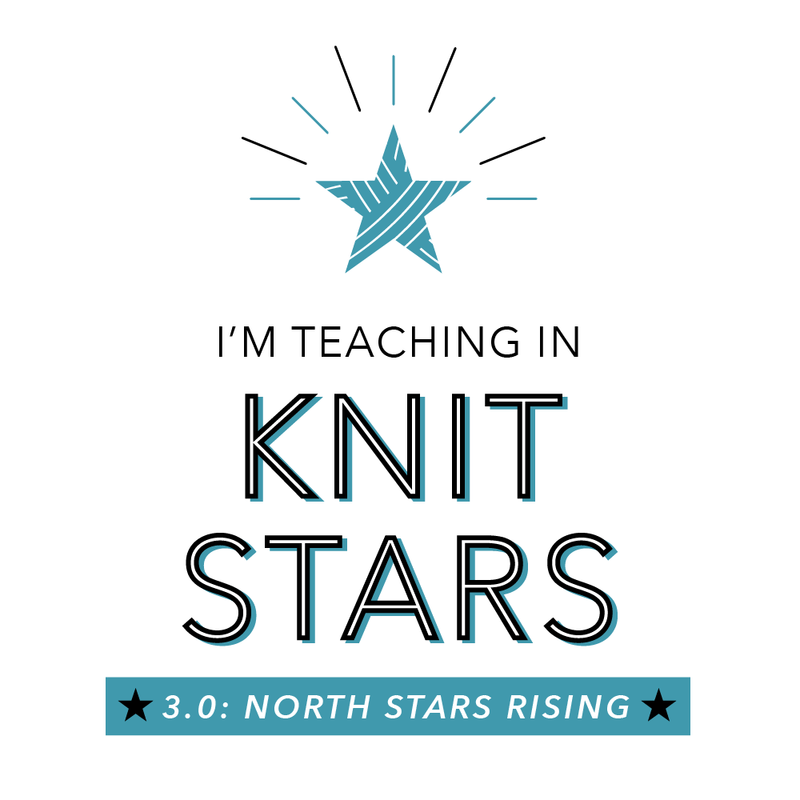 From now through midnight Friday, February 1st, you can sign up for Knit Stars 1.0, 2.0, and 3.0 for just $199 per season. Complete your collection by adding any seasons you may have missed, and become an All Star and access the bonus materials, including Pattern Vault, Topic Index, and Bonus Footage. If you haven’t purchased any seasons, you can join during this sale by purchasing 1.0, 2.0, or 3.0 (or all three!). The current price of $199 per season will go up to $229 per season the next time they are offered. If you use my link (https://knitstars.mykajabi.com/a/4441/qzGWw9gQ), I’ll get a kickback and we all win! 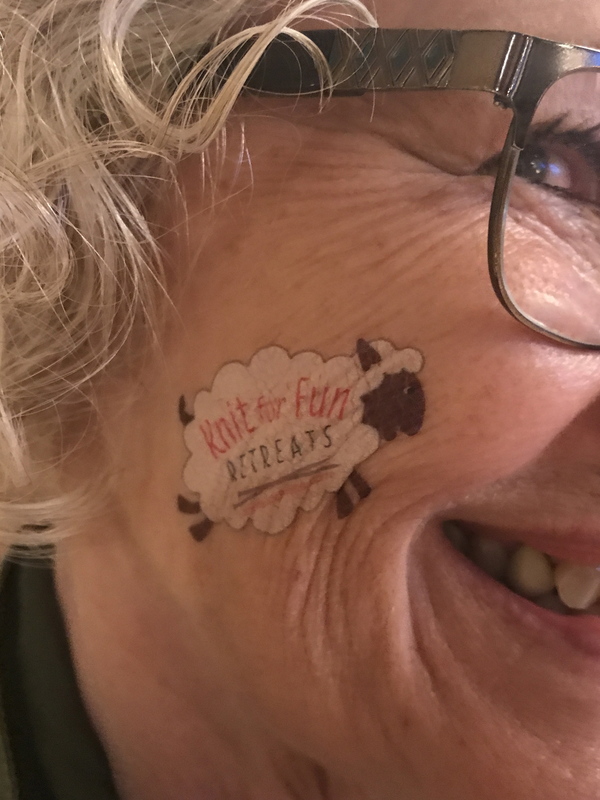 Mark your calendar — tomorrow (Saturday, January 5) registration for the Knit For Fun Retreat in La Jolla, California, opens at 10:00am Mountain Standard Time. 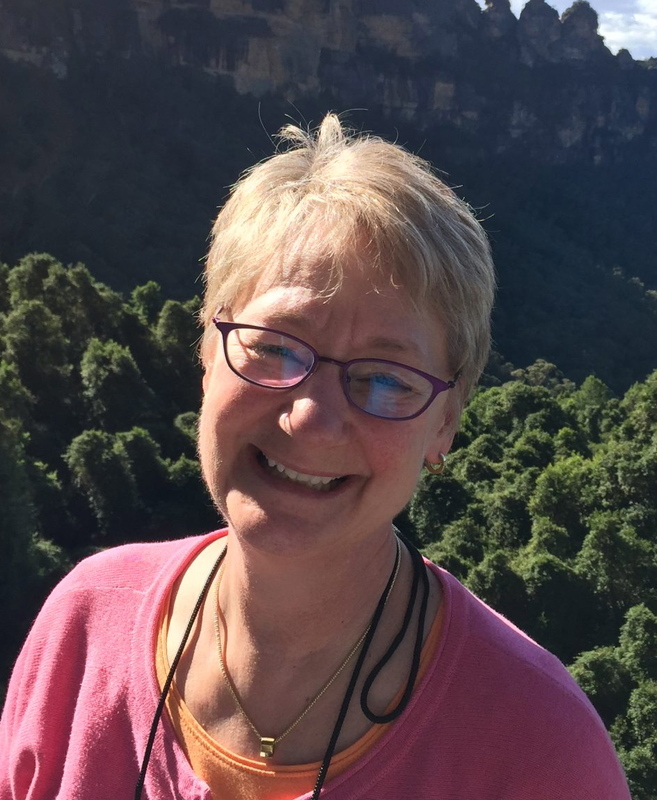 The international guest instructors will be Estonian knitting expert Nancy Bush; author of Alterknits Stitch Dictionary and Rugged Knits Andrea Rangel, and Finnish sensation Veera Valimaki. Registrants get one 3-hour class with each instructor and the opportunity for a one-on-one session with the Knit Doctor (that’s me, Ann Budd). The retreat will take place September 19 – 22 at the four-diamond Estancia La Jolla Hotel and Spa, where you’ll be fully taken care of. Tucked away within 10 acres of lush, tranquil gardens, this hotel/spa provides a flawless blend of luxury and comfort. When you’re not in class or otherwise consumed by Knit For Fun Retreat activities, relax by the heated saltwater pool and whirlpool with poolside cabanas, bask in the sunshine and gardens, or treat yourself to a massage, facial, or nail service. 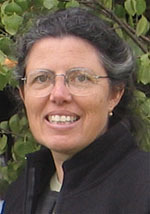 You’ll find all the details about the teachers, classes, optional add-ons, and costs at Knit For Fun Retreats/La Jolla. Let’s have some fun in the sun! 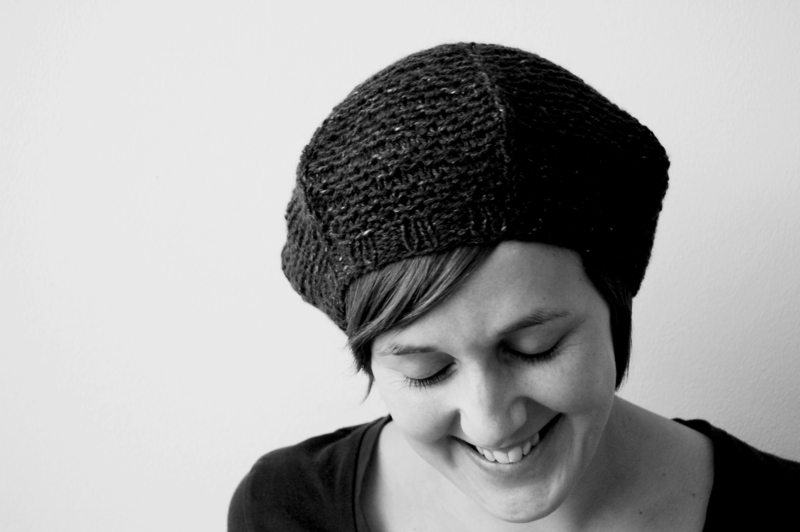 Because you deserve it, I’ve uploaded a new pattern on Ravelry. Hygge Delight Cowl is designed with the Danish notion of hygge, which roughly translates to “cozy” or “comfort”, in mind. Knitted in the round with 100% cashmere yarn in a straightforward stripe pattern, the knitting is a joyful experience while the resulting cowl is thick and luxurious. A simple slip-stitch pattern is worked in the first round of each color to add interest to the repeating stripes. The cowl is worked as a tube (double thickness and double warmth!) that’s finished off with Kitchener stitch. Choose a gradient kit as I did or combine colors of your own choice! From now until midnight December 23, receive 20% off the Ravelry purchase price of the Hygge Delight Cowl by using the code DELIGHT when you check out. If you’re reading this message, chances are good that you’ve got shelter, electricity, and ample food. In this season of giving, I encourage you to do something for those less fortunate. From food banks to shelters to medical supplies and research to micro-loans, there are a lot of important ways to help. My personal favorite organizations are (in no particular order) Heifer International (working with communities to end world hunger and poverty and care for the earth), Doctors Without Borders (an independent global movement providing medical aid where it’s needed most), Alzheimer’s Research (the leading voluntary health organization in Alzheimers care, research, and support), and Kiva (providing loans to celebrate and support people looking to create a better future for themselves, their families, and their communities). Imagine if we all gave just $10! I can’t believe that it’s already been four weeks since my Knit For Fun Retreat in Edmonton, Alberta, Canada. My rock star teachers were (left to right) Bristol Ivy, Justyna Lorkowska, and Carson Demers. 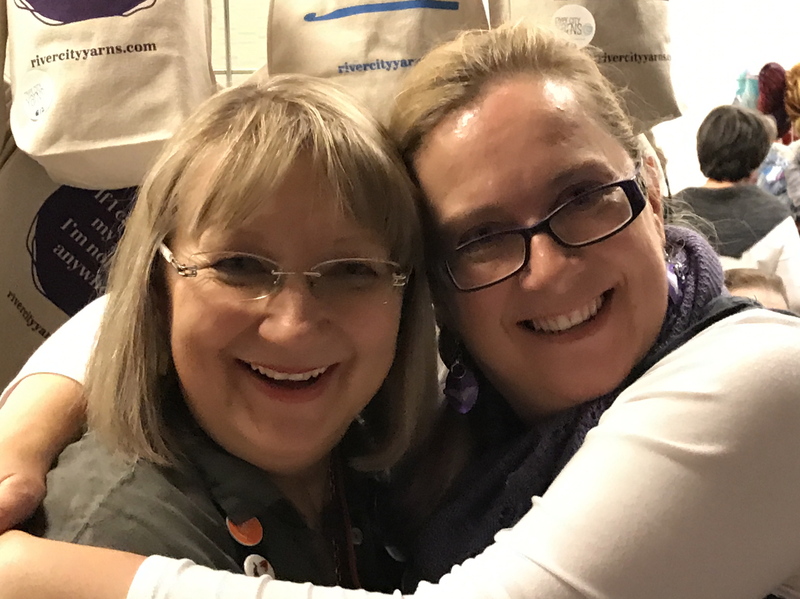 The outstanding marketplace was hosted by (left to right) sisters Barb Barone and Cynthia Hyslop of River City Yarns in Edmonton. 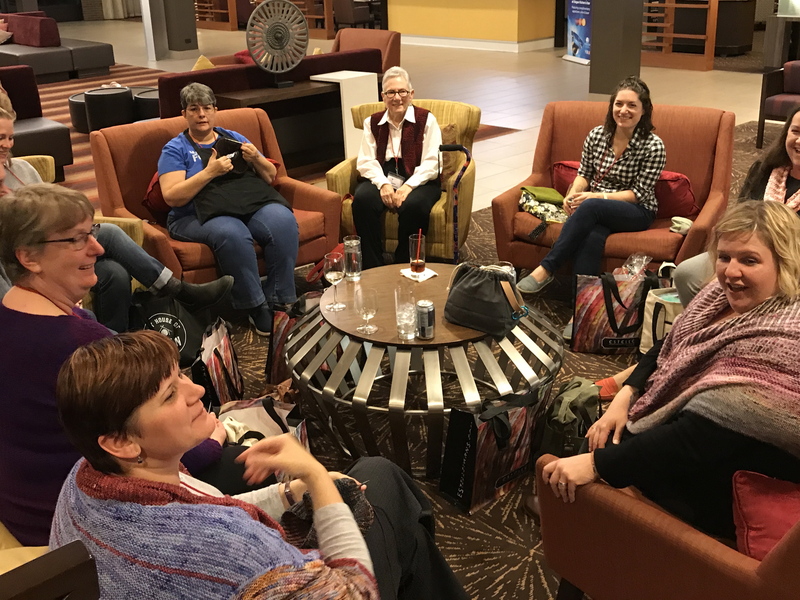 Eighty-some attendees, ranging in age from their twenties to their eighties and traveling from both the U.S. and Canada, joined us at the very comfortable DoubleTree by Hilton where there was ample space for community knitting and camaraderie. 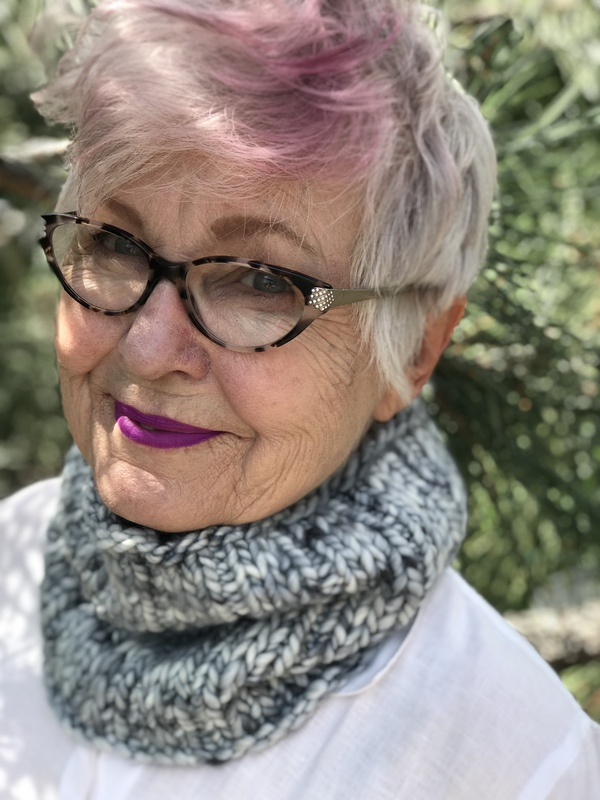 Included with a lot of other stupendous swag, each attendee received the yarn and pattern to make the Silver Lining cowl (shown at right), which is now available for purchase through Ravelry. The bulky-weight yarn is Merino Slipper by Fleece Artist dyed in the custom Silver Lining colorwary and is only available from River City Yarns. We’re shaking things up for our Canadian retreat in 2019. The retreat will take place in Quebec at the four-diamond Fairmont Tremblant hotel in the mountain resort of Mont-Tremblant August 8 – 11. Check out the details on my website. Registration opens December 7 at 10:00 am Mountain Standard Time. Just in time for the holidays I stumbled upon the ultimate gift for a knitter — knitted jewelry by Spiritus Designs. Artist Susan Baile, who lives right here in my hometown of Boulder, Colorado, creates one-of-a-kind knitted wire designs accented by semi-precious gemstones, fused silver, and mixed metals. She uses standard knitting needles to form multiple strands of metal wire into an assortment of necklaces, collars, cuffs, and earrings. The pieces are astonishingly lightweight and comfortable to wear. I couldn’t resist a simple but stunning piece for myself. Upon seeing it, my dear husband remarked, “That’s beautiful! Take it off and let me give it to you for Christmas!” I gave him her card with a link to her website.